that is the BEAUTY of His church. ​IN RELATIONSHIP with each other and to GROW together. 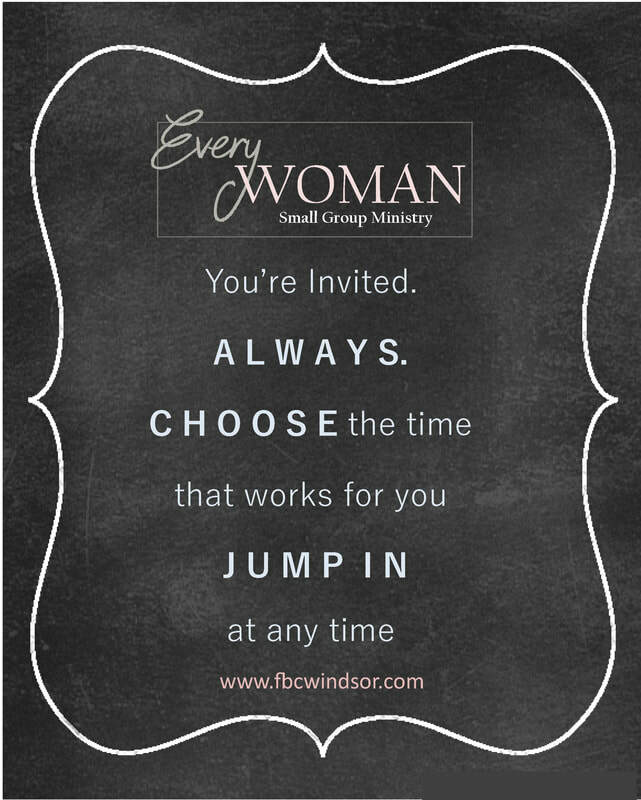 If you are a woman 16+ years of age, you are invited to join us in our Every Woman Small Group Ministry. We are excited about this opportunity to grow in knowledge of Jesus Christ and His Word, and in wisdom as we come alongside one another to apply it to our lives. God says we need each other [Titus 2:3-5]; so we want to do what He says, growing a culture of women discipling women through the joy and the grit of daily life. Small groups allow for authenticity, scheduling flexibility, and increased awareness of opportunities to serve one another. Sign me up for a study.